The Port of Los Angeles and Port of Long Beach combine to make our sea ports complex the largest in the Western Hemisphere, handling over 40% of all inbound containers for the entire United States. Over time, a sophisticated and mature logistics economy has developed around these ports, including high-capacity rail networks, endless warehousing and distribution options, and businesses that have located in L.A. County to leverage this infrastructure. Over 160,000 workers in L.A. County alone support the international trade sector. With over 15 million twenty foot equivalent (TEU) containers processed in 2016, the twin ports complex is one of the busiest ports complexes in the world, and can handle the largest container ships in the world. Both the Port of Long Beach and Port of Los Angeles have continued to modernize, adding robotics and other innovative container movement systems, dredging canals to support the deepest of drafts, dramatically reducing air pollution, and protecting our regional market advantages as container volumes rise. 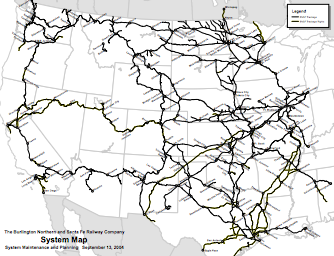 With a strong port infrastructure, main rail lines for both the Burlington Northern Santa Fe and Union Pacific railroads ensure efficient movement to and from the ports. 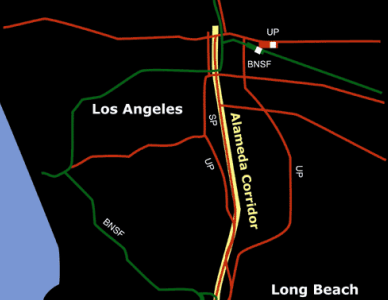 Many rail cars utilize the Alameda Corridor, a 20-mile-long rail cargo expressway linking the ports of Long Beach and Los Angeles to the transcontinental rail network near downtown Los Angeles. 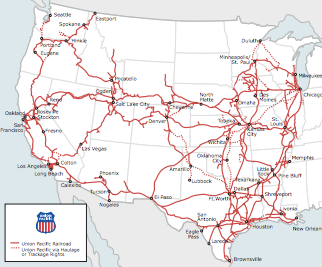 In addition, an excellent freeway and highway system allows multimodal transport and efficient origination for cross-country delivery. Los Angeles International Airport (LAX) is another key link in Los Angeles County’s international trade. While the LA/Long Beach harbors handle high volume products, LAX handles high-value products, such as medical instruments, electronics, and perishables. The airport ranks 14th in the world and 5th in the U.S. in air cargo tonnage processed, with over two million tons of air cargo valued at nearly $96.3 billion. LAX is served by 43 international carriers and all major air freight lines. In addition to freight, LAX is a world hub airport for business travelers with over 900 weekly nonstop flights to 59 cities in 30 countries. With an abundance of international activity, L.A. County is experiencing increasing amounts of foreign investment, with many European and Asian countries investing heavily in multiple industries within the County. Over 4,500 firms in L.A. County are owned or affiliated with foreign-owned parents. The LAEDC assists overseas businesses with site selection and investment in the L.A. region. In addition, LAEDC operates an USCIS-approved EB-5 regional center to help facilitate jobs-creating projects in L.A. County and help match those investors to great opportunities. Learn more about EB-5 here. The international trade engine of LA County has created opportunities in surrounding counties such as San Bernardino. Major investment in logistics, warehousing and distribution in nearby and inland counties has increased the strength of the overall trade economy in the region, providing new site selection opportunities for businesses leveraging the trade infrastructure. How can LAEDC Help Your Organization Thrive in This Industry? The LAEDC and affiliate World Trade Center Los Angeles publish our annual International Trade Outlook, as well as Growing Together reports that summarize LA County’s tade and investment activity with major trading partners. Learn more HERE. LAEDC’s World Trade Committee, co-chaired by Steve Olson and Les Gold, works in concert with World Trade Center Los Angeles to encourage foreign direct investment into LA County and foster exports from regional businesses to international customers. LAEDC is looking for leaders like you to support initiatives for this industry, Voice concerns about public policy and legislation, and collaborate to help this industry grow and remain vital. To get involved, please email [email protected]. The LAEDC’s USCIS-approved regional center helps match EB-5 investors with projects, so that low interest rate financing becomes available for those projects, enabling progress and job creation. Learn more here.